Cockroach was first recorded with original singer Ted Poley. However, Ted left the band before it was released. Instead of releasing an album with Ted's voice, they shelved it and recorded a new album with their new singer Paul Laine. 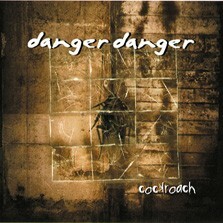 Eventually, Paul Laine did vocals for the shelved Cockroach album. Because fans were wanting to hear Ted's version, the band chose to release Cockroach as a 2-disc set: Disc 1 being Paul's version, and disc 2 being Ted's. Both have the same songs, in a different order, except Paul's disc includes a cover of "Time in a Bottle". Annotation last modified on 2013-02-09 14:01 .